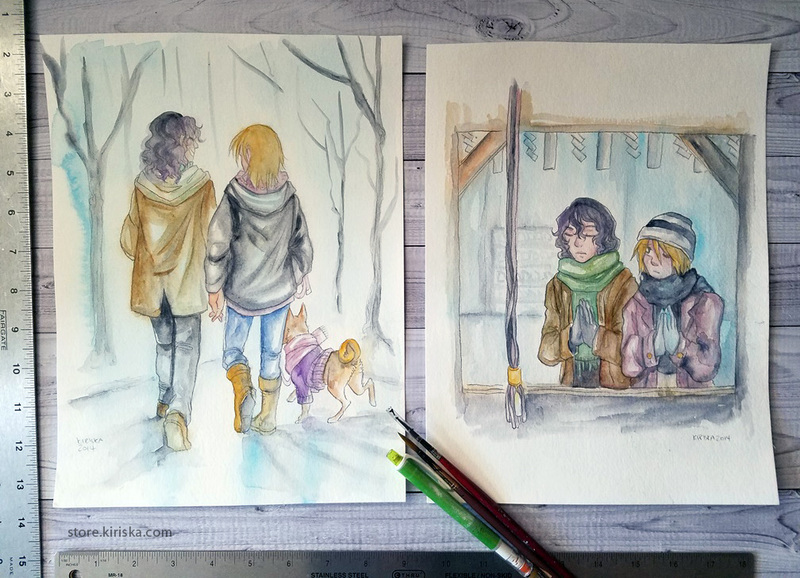 Two original watercolor paintings featuring Teshima Junta and Aoyagi Hajime from Yowamushi Pedal. Each painting is on roughly 9"x12" 300 gsm coldpress watercolor paper.. Listing is for both paintings, which will not be separated.